You could be forgiven for thinking that the picture above was a brand new Toyota coupe. This is, believe it or not, the latest Ferrari. And its not a concept or a "design language" demonstration, its actually going in to production. New Ferrari's are something very much worth getting excited about. After all such creations are penned by the same designers of legendary motors such as the 250 GTO, the F40 and the F355. 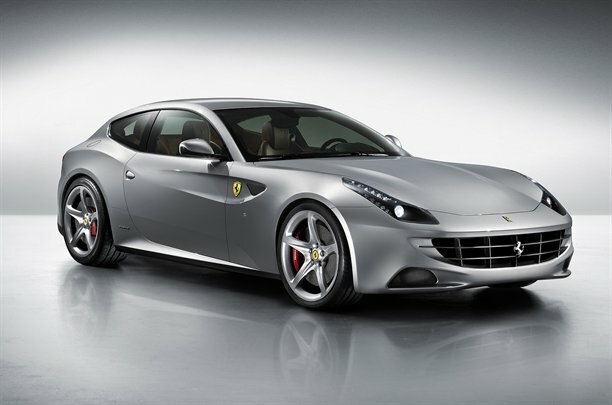 However; this is the new Ferrari FF and frankly it looks Japanese. Whether a car looking Japanese is a bad thing or not is for another day's discussion. Suffice to say that a Ferrari being mentioned in the same breath as Japanese car design is a bit eerie. Somethings wrong. Maybe Ferrari's freakish theme park in Abu Dhabi is to blame for such hollow design. I'm sure this thing looks better in the flesh as most Ferrari's do but still... c'mon its a Ferrari! It should be sent back to the drawing board. Actually maybe its better not to bearing in mind that's where it's hideous predecessor the 612 Scaglietti came from. Oh; forgot to mention that its designed to accommodate 4 adults in comfort and has 4 wheel drive which sounds like the design brief of an Audi estate. Maybe it'll make sense when it hits our roads but thus far the new FF has made an underwhelming entry.